First is first, second is nobody. P. McGilligan, Backstory 2: Interviews with Screenwriters of the 1940s and 1950s. University of California Press, 1997. D. Sculthorpe, Brian Donlevy, the Good Bad Guy: A Bio-Filmography. McFarland, 2016. F. M. Nevins, Joseph H. Lewis: Overview, Interview, and Filmography. Scarecrow Press, 1998. J. Naremore, More Than Night: Film Noir in Its Contexts. University of California Press, 1998. P. Kerr, “My Name Is Joseph H Lewis,” Screen, vol. 24, no. 4–5, pp. 48–67, 1983. 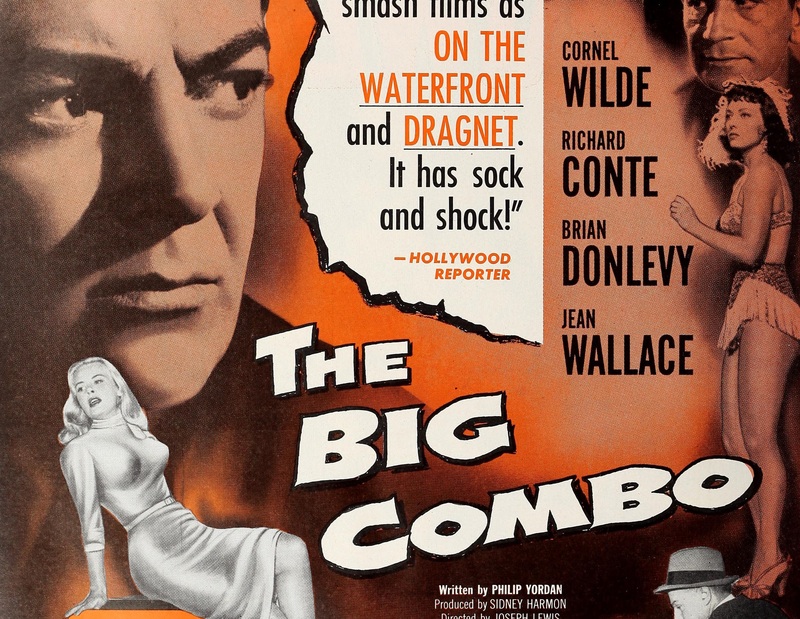 Brew, “THE BIG COMBO (1955) ∽ DAVID RAKSIN ∽ EXTRACTED JAZZ SOUNDTRACK,” BREW LITE’s JAZZ TALES, 13-Aug-2012. .
 C. Hugo, “The Big Combo: Production Conditions and the Film Text,” in The Book of Film Noir, I. A. Cameron, Ed. Continuum, 1993. G. D. Rhodes, The Films of Joseph H. Lewis. Wayne State University Press, 2012. J. Bawden and R. Miller, You Ain’t Heard Nothin’ Yet: Interviews with Stars from Hollywood’s Golden Era. University Press of Kentucky, 2017.